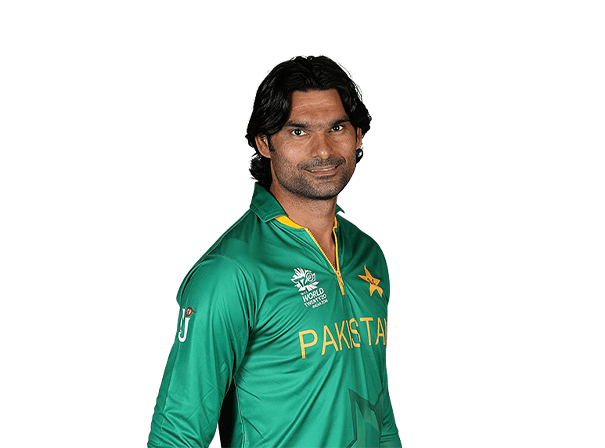 Mohammad Irfan is a professional cricketer who has played for his national side at the very highest level. He also has the unofficial title of being the world’s tallest bowler although his exact height is often debated because the Pakistani Cricket Board has variously measured him at 6’8″, 6’10” and 7’1″. With his great height, Mohammed barrels in his left arms deliveries with great bounce to the facing batsmen. Born in rural Pakistan and hailing from the eastern town of Gaggu Mandi, Mohammad Irfan had various jobs before becoming a cricketer owing to the lack of opportunities. As such he worked in a plastic pipe factory and played cricket for local clubs but was then called up to the National Cricket Academy in Lahore. The coaches there were pleased with what they saw and before long he was signed up to play first-class cricket for Khan Research Laboratories. Impressing by taking a number of wickets in his first game, and then over his full first season, he soon picked up props from the national selectors and went on to make his Twenty20 debut again India in 2012. He showed great skill and bowled at more than 145kph and he then went on to trouble batsmen in the tour of South Africa in 2013. Across 57 ODI games he has scored 48 runs and taken 78 wickets as well as many more in first class cricket for sides like Sultan Tigers, Islamabad United, Lahore Lions, Dhaka Dynamites and Khan Research Laboratories.